CO2 – a classic remedy, reinterpreted for today’s modern world. The CooLifting pistol infuses the skin with highly concentrated, atomised active ingredients, penetrating both the epidermis and the tissue layers below it. This smoothens the skin, visibly reducing wrinkles. 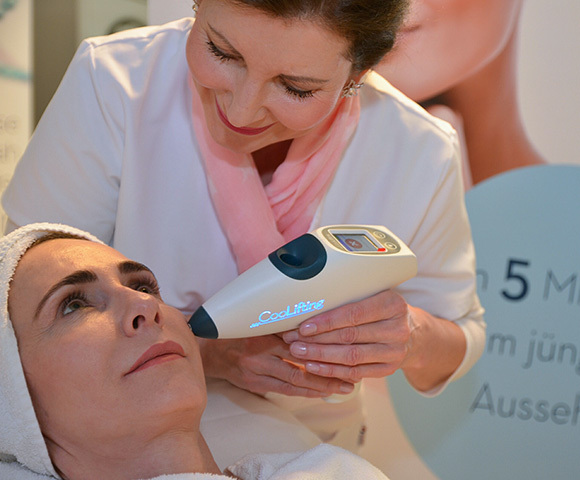 CoolLifting is a revolutionary skin firming treatment. Indeed, in terms of its ability to turn back time, it is probably the most spectacular and most effective treatment on the market. "A proven, entirely painless treatment."